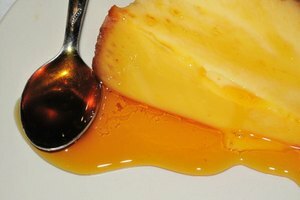 You can reduce the fat and calories in your recipes without significantly altering the taste. 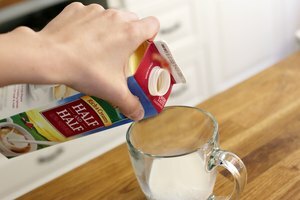 Evaporated milk has had much of the water removed from it, leaving behind a thicker, creamier milk product with the consistency of whipping cream. 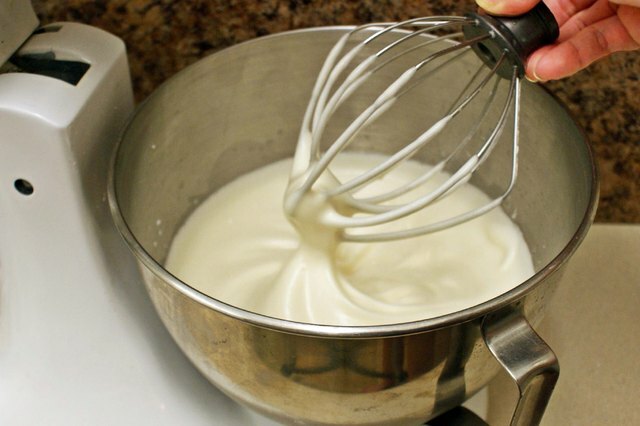 As such, it can replace whipping cream in any recipe. With some amendments, you can even whip evaporated milk. Unlike whipping cream, evaporated milk is canned, so it will stay fresh on a pantry shelf for months, ready for when you need a cream replacement. 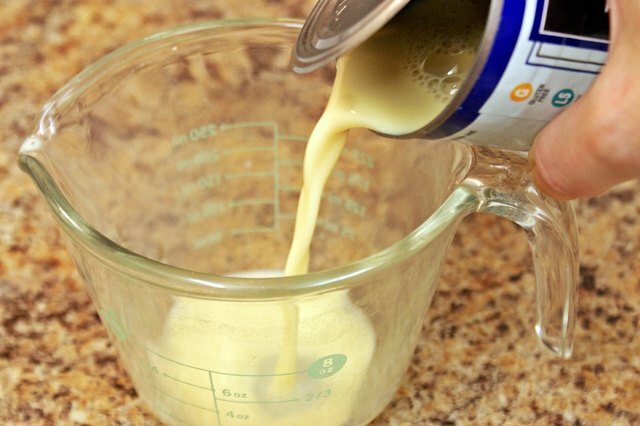 Look for evaporated milk at most grocery stores in the baking aisle in low fat, whole milk or fat free varieties. All substitute equally well. 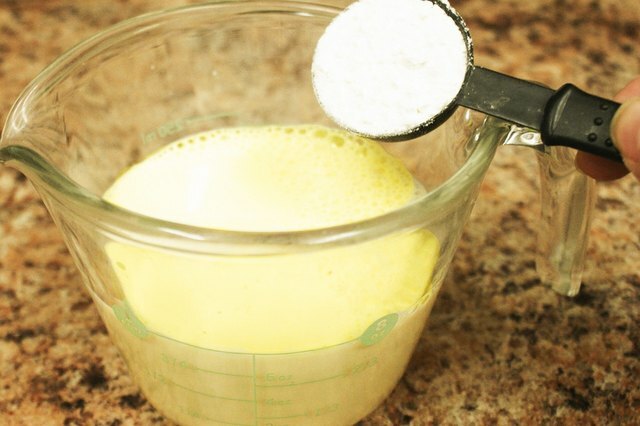 Replace each cup of whipping cream in recipes that require neither whipping nor cooking with one cup of evaporated milk. 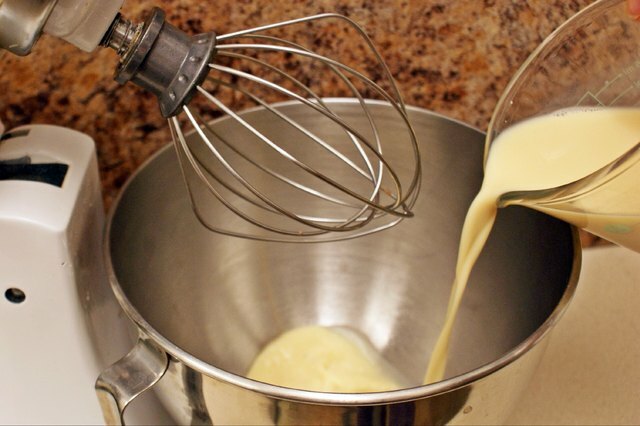 Whisk together one cup of evaporated milk and 1 tbsp. flour only before using as a substitute for one cup of whipping cream in cooked sauces. 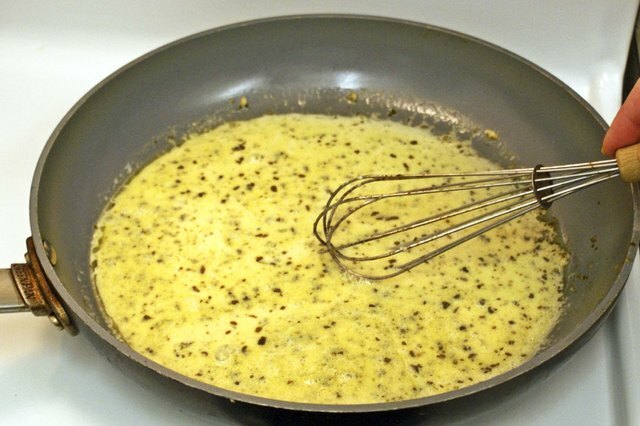 Add this mixture to the sauce when instructed to add the whipping cream. 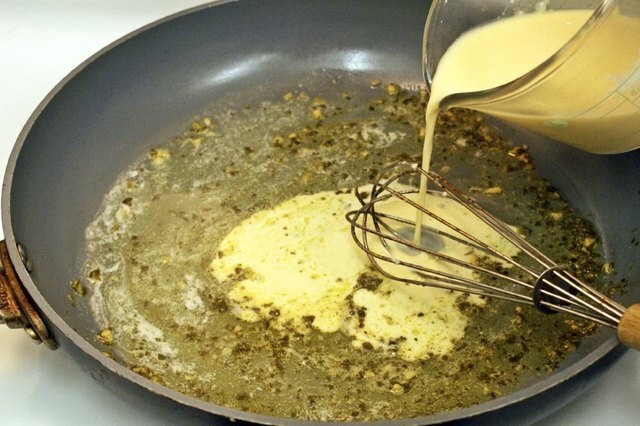 Heat over low heat and do not let the sauce boil after adding the evaporated milk and flour mixture. 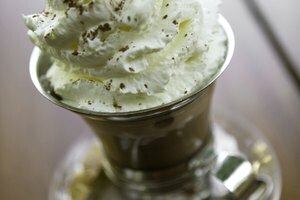 Whip one cup of evaporated milk to replace four cups of whipped cream. 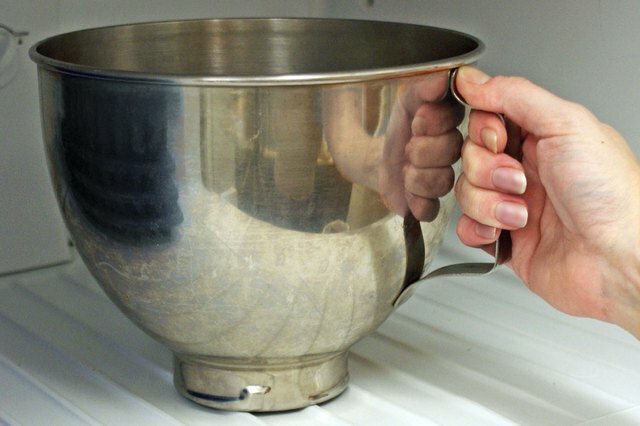 Chill one cup evaporated milk in a metal bowl with the mixer's beaters in the freezer for 30 minutes. 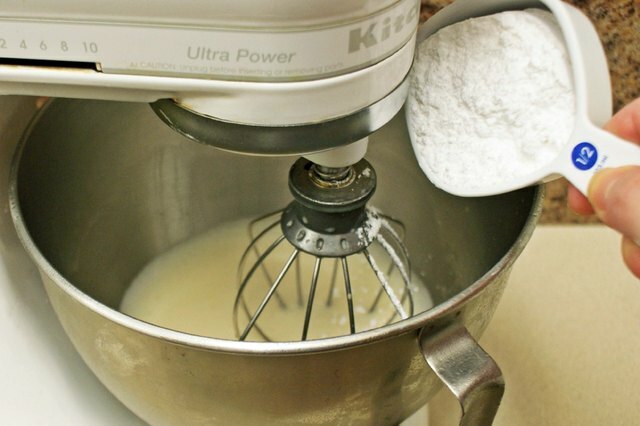 Insert the chilled beaters into the mixer and whip the cold evaporated milk on high power for 1 minute. 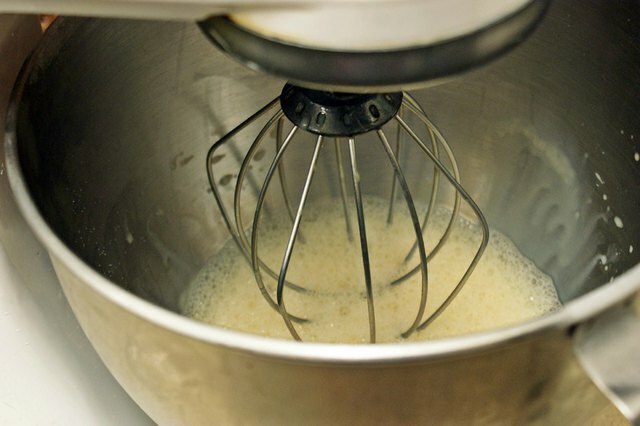 Continue beating the milk while sifting up to half a cup of powdered sugar and the vanilla extract into the mixture. 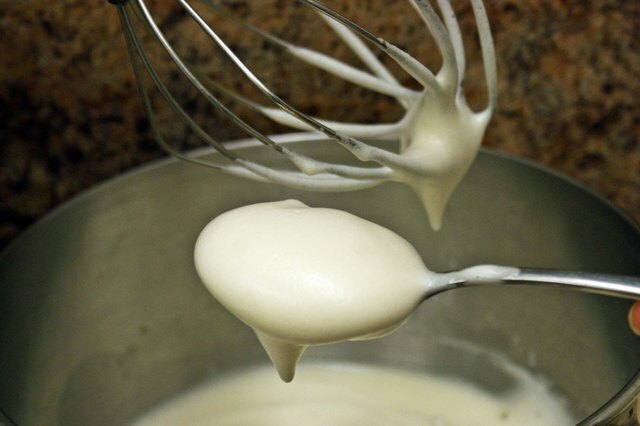 Beat for 2 minutes after the additions or until the evaporated milk has become stiff and holds its whipped texture. 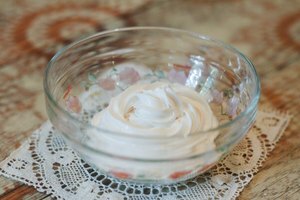 Use immediately to replace four cups of whipped whipping cream.